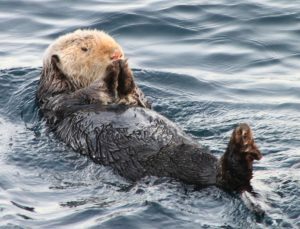 Santa Barbara, CA — In a major victory for threatened southern sea otters, the U.S. Ninth Circuit Court of Appeals today issued a ruling denying a challenge by commercial fishing organizations to a U.S. Fish and Wildlife Service (FWS) decision that has restored protections for sea otters in Southern California. The Environmental Defense Center (EDC), The Otter Project and Los Angeles Waterkeeper intervened in the case on behalf of the FWS. The case name is California Sea Urchin Commission, et al. v. Bean, et al. (9th Cir. 2018).